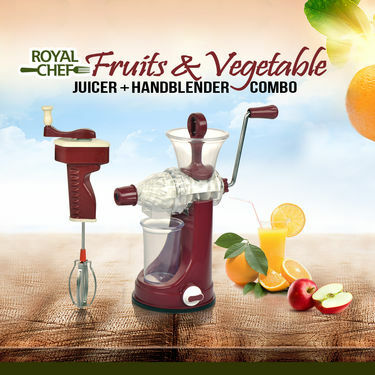 Unlock the natural benefits of fruits and veggies with this powerful Juicer and Manual Hand Blender, a great addition to your kitchen essentials. The juicer comes with high quality and rust-free stainless steel blade that extracts every drop from fruits and vegetables easily. 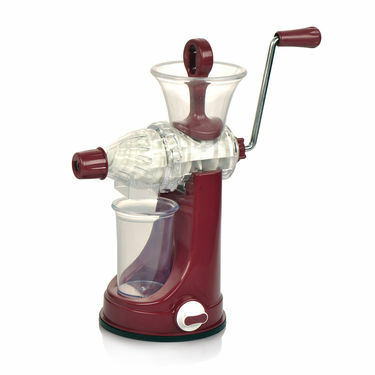 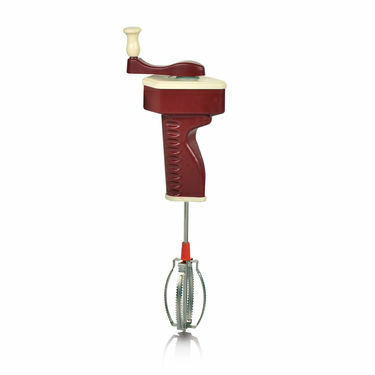 Also, the Manual Hand Blender is ideal for beating, whipping, churning and liquidizing needs. 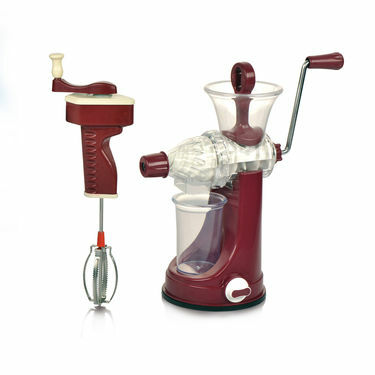 Compact and portable, it is perfect to carry when traveling, camping or short vacation. 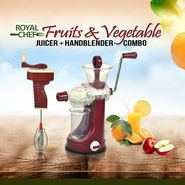 Royal Chef Fruits & Vegetable Jui..VSRoyal Chef Juicer - Buy 1 Get 1 F.. Royal Chef Fruits & Vegetable Jui.. VS Royal Chef Juicer - Buy 1 Get 1 F..
Royal Chef Fruits & Vegetable Jui..VSRoyal Chef Juicer + 4 in 1 Drum S.. Royal Chef Fruits & Vegetable Jui.. VS Royal Chef Juicer + 4 in 1 Drum S..
Royal Chef Fruits & Vegetable Jui..VSRoyal Chef Puri Press + 21 Pcs Ki.. Royal Chef Fruits & Vegetable Jui.. VS Royal Chef Puri Press + 21 Pcs Ki..
Royal Chef Fruits & Vegetable Jui..VSRoyal Chef Fruits & Vegetable Jui.. Royal Chef Fruits & Vegetable Jui.. VS Royal Chef Fruits & Vegetable Jui..
Royal Chef Fruits & Vegetable Jui..VSRoyal Chef Juicer + 11 in 1 Slice.. Royal Chef Fruits & Vegetable Jui.. VS Royal Chef Juicer + 11 in 1 Slice..